Where Creativity Meets C9 October Edition! I used the Snowflakes Turnabout that was released last month to do some stamping and pearlized embossing. Have you tried using Distress Oxide inks to stamp and emboss? The effect is really lovely, and you suddenly have a huge stash of colored embossing powder in your stash! I love pairing the Oxides with pearl embossing powder. I stamped the Turnabout twice, once with Blueprint Sketch, rotated it 180*, then stamped again with Lilac Shadow and added the Pearl Embossing Powder. It creates such a lovely color in combination with the Oxide inks. Next, I die cut a large glitter snowflake using the Snow Flurry dies. I added them to the sides of the snowflake panel, adhering them with liquid adhesive. I stamped a greeting from the Snowflake Turnabout using Blueprint Sketch Oxide ink, embossing it with the same pearl embossing powder, then trimmed the panel and popped it up on the snowflake card front using dimensional foam adhesive. A few Amethyst crystals from Pretty Pink Posh finished it off. Well, that’s all for today’s project! Now, for some challenge details. I hope you are inspired to bring out your Concord and 9th products to create a project inspired by the color inspiration photo! Simply create a project, link it up to the Where Creativity Meets C9 blog post by September 29, and you could have a chance to win a $25 shopping spree to the Concord and 9th store! One winner will also be chosen to be a guest on an upcoming challenge! Where Creativity Meets C9: September Edition! Now, we know I don’t like orange all that much. So I kinda cheated and used just two of the colors: Aqua and Charcoal. I am loving how aqua is finding it’s way into autumnal color schemes! Cool colors are my favorite! 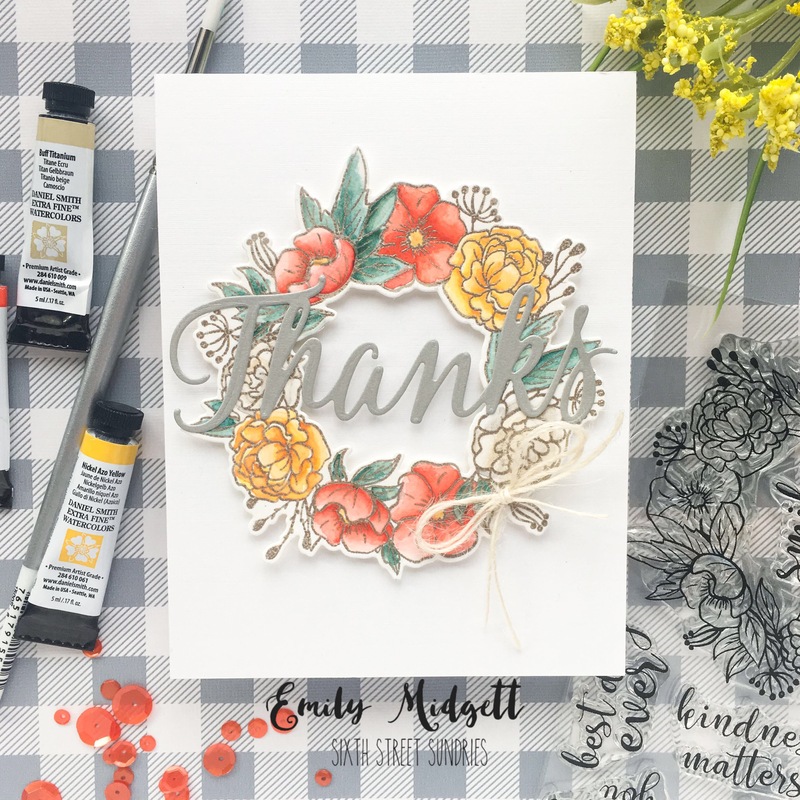 I began by heat embossing the new Thankful Leaves turnabout stamp, with all four rotations, using White Pearl embossing powder onto some aqua card stock. I absolutely adore the subtle pattern this creates on a colored card stock background. I blended some darker aqua ink around the edges to help further highlight the beautiful detail in the background stamp. Next, I die cut a vellum leaf using the coordinating Thankful Leaves dies and a greeting using the Grateful for Everything coordinating die set (the stamp that coordinates with this die is probably one of my most favorite stamps ever….) I adhered both die cuts to the card front with liquid adhesive, leaving the edges of the leaves without adhesive so that they popped up a bit. The final step was to add a few jewels from Pretty Pink Posh to add some sparkle.